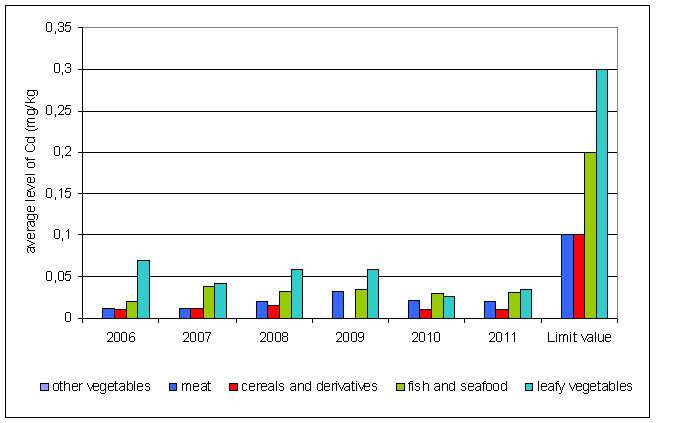 Results of monitoring of lead and cadmium in selected food categories in the period 2006-2010 show that the permitted maximum levels were not exceeded. However, on the basis of experience of other EU countries, it is necessary to remain committed to their regular monitoring, because the presence of metals in food, even in small concentrations, can cause adverse health effects in people. 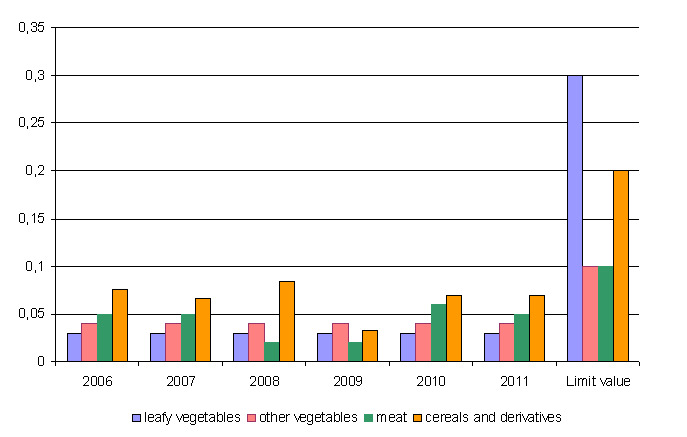 Reports, Health Inspectorate of RS, 2006, 2007, 2008 in 2009. 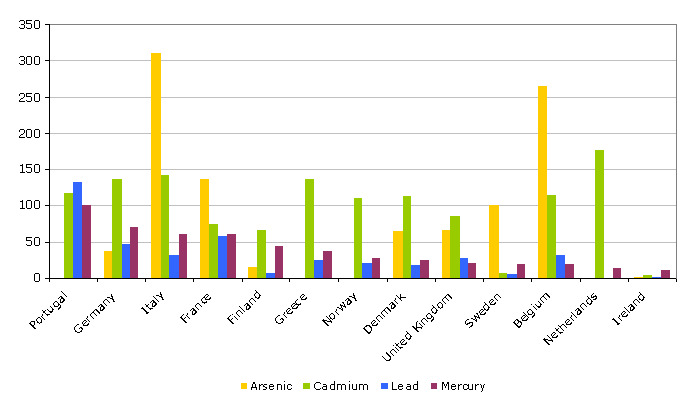 European Commission, Assessment of the dietary exposure to arsenic, cadmium, lead and mercury of the population of the EU member states, 2004.